The following is a general guide, things I've noticed, things I am still learning about and those that work for me that I know will fail without a passion for caring for green life. Be attentive. Observe your plant babies as they grow. Make notice of the leaves, the roots, the soil. Be sharp in your observation. Be decisive in your response to change. Most importantly green life requires patience, a keen eye and little to no expectation. A name is knowledge. And Knowledge is Power. Knowing the name means finding out how to generally care for each and every plant is just a step away. Knowing how to generally care for each and every plant in your care means that learning the specifics for your plant, under your specific location and conditions is a simple transition. It will serve you well to be a on a mission to also learn the names, if not scientific names, the common names of each plant. Become friendly with the care takers in your local nursery. Talk to your mothers, grand mothers and other elders in your circles. Show interest, you'd see naturally the universe would deliver the information you seek. But first you must be keenly interested. 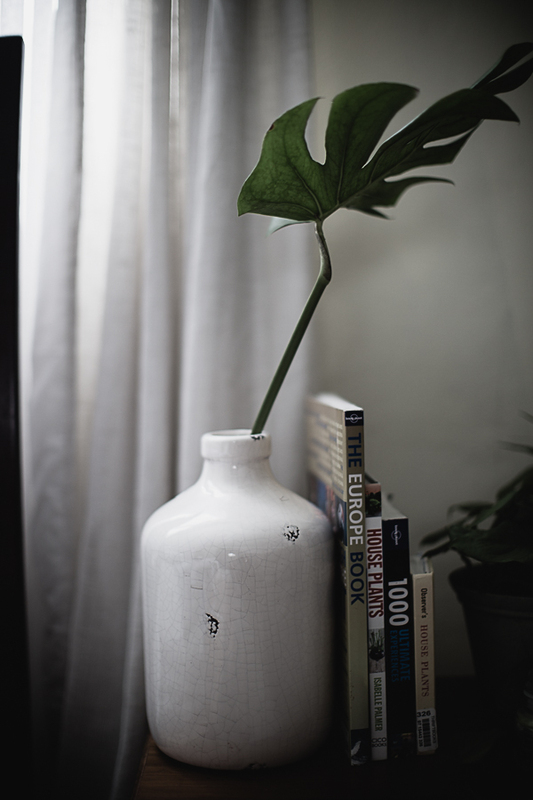 Plants serve various useful functions around your home or space. Caring for plants brings fulfilment. Caring for plants is a reminder that growth happens sometimes fast just as you may like but most times it's slow and consistent and daily. Whether you notice or not. Growth happens. I think this reminder is one of my faviourtes and one of the reasons why I am so passionate about my house plants. Plants serve useful in keeping air clean, think Oxygen Cycle. While all of the above are true plants are also decorative, from the shades of greens, the homes we pot them in, to their various shapes...Plants are hugely decorative. Shop "ROCK THE BOAT" Decorative Item at Con Brio Furniture and Gift. Con Brio Furniture and Gift is a little store that specializes in beautiful furniture, mirrors, home accents, gifts, candles and curiosities. My first suggestion is to utilise the Permaculture strategy of sectors and zones to manage plant care. What is Permaculture? According to Deepgreenpermaculture.com Many people have never heard of it, and even those practicing it often have trouble defining it! So what exactly is Permaculture? Permaculture is a holistic design system that emulates systems that exist in Nature to create sustainable human settlements and food production systems which integrate harmoniously with the natural environment. Shop "BE NICE OR LEAVE THANK YOU" Decorative Item at Con Brio Furniture and Gift. Con Brio Furniture and Gift is a little store that specializes in beautiful furniture, mirrors, home accents, gifts, candles and curiosities. It was co-founded by Australian ecologists Bill Mollison and David Holmgren, in the 1970s. The word "Permaculture" is a contraction of "permanent agriculture" or "permanent culture." Permaculture is a movement concerned with sustainable, environmentally sound land use and the building of stable communities, through the harmonious interrelationship of humans, plants, animals and the Earth. The focus of Permaculture design is on the relationship between all the individual elements and their placement in the landscape, to form stable, productive communities that replicate the synergy and efficiency of natural ecosystems, rather than the individual elements themselves. Permaculture design is applicable to both urban and rural environments, and encompasses all ranges of scale, from an apartment balcony to a large scale farm or village. ...Permaculture can incorporate the techniques of organic gardening, biodynamic gardening, no-dig gardening, composting and a myriad of other sustainable gardening practices. It can also use techniques of energy-efficient building design, water harvesting, waste water treatment and recycling for example. Two terms which come close to defining Permaculture, as suggested by ATTRA (The US National Sustainable Agriculture Information Service) are "ecological engineering" or “cultivated ecology". So, in a nutshell, that’s what Permaculture is! The fourth Permaculture Design principle is the principle of ‘Zones and Sectors’. I adapt this to my gardening practice, Ask your self: How often we need to care for or keep an eye on the element (i.e. a particular plant? I utilize this zoning principle in my plant care, for those plants that require daily, frequent attention and care, use Zone 1, an area that you always interact with, pass by often and can easily access daily, frequently. My Zone 1 is my bedside table and the kitchen windowsill. For those that require less frequent attention, I keep them further and so on and so forth. Zone four are those kept outside under the shade cloth. Choose a watering day. Depending on how you've created your zones. Your watering day can be one day per week for cetrain varieties and ever other day for others. Keep a watering vessel read to go near each group of plants. Keep plants with similar watering needs arrange in close proximity to each other. Water each houseplant until the soil is moist. Re-water when the soil drys out. Based on experience this allows a three-day water, no water cycle. Time: approx 1 minute per plant. This is a conservative time allocation and is often in reality much less. My watering schedule is quite simple: Once a week water the succulents and air plants, preferably in the a.m. Mist the air plants with two or three pumps. For the succulents, refer to this guide. All the other plants are watered basis needs. My routine with this is timed when soil dries out. Shop VASE at Con Brio Furniture and Gift Con Brio Furniture and Gift is a little store that specializes in beautiful furniture, mirrors, home accents, gifts, candles and curiosities. One thing I love most about grooming is the spoils of the exercise. Keeping your cuttings and even leaves can also play a role in decorating your space. No flowers this week, dried leaves are abundant though. Shop "FIND THE TIME TO READ...." Decorative Item at Con Brio. Con Brio is a little store that specializes in beautiful furniture, mirrors, home accents, gifts, candles and curiosities. Once a week groom your plants. You can groom them again based on your zones set out. At the end of a month you should have at least groomed each plant in each of your four zones. It's a managable cycle that keeps you up-to-date with your plants grooming. Grooming includes clipping to promote lateral growth, removal of decaying and dried leaves to the compost, pinning the plants that run and vine to promote full, luscious pots, and training plants are they grow. My grooming day varies but I do it at least once per week so by month end all my plants are in great shape and ready to welcome the month. Shop VASE AT Con Brio Furniture and Gift. Con Brio Furniture and Gift is a little store that specializes in beautiful furniture, mirrors, home accents, gifts, candles and curiosities. Take for example these dried leaves and cuttings placed in vases. It is possible, to even propagate certain plants if cut properly. A win win situation to me. 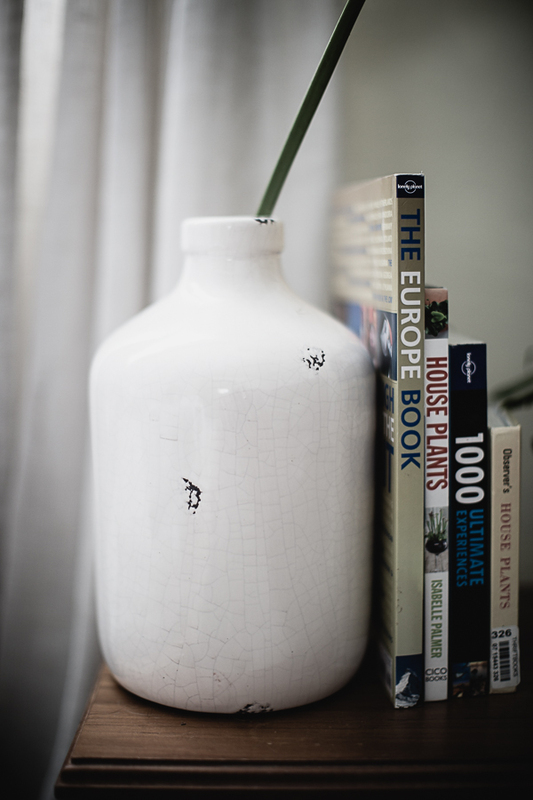 Shop VASE AT Con Brio Furniture and Gift.Con Brio Furniture and Gift is a little store that specializes in beautiful furniture, mirrors, home accents, gifts, candles and curiosities. Re-pot plants either by replenishing entire pot with fresh, healthy soil mix, potting up those that have outgrown their pot environment or just topping up each pot with rich soil. With potting up replenishing entire pot with fresh, healthy soil mix. I re-pot once per year. If you can afford twice annually, go for it.